Is the floor sink in your restaurant unsightly? 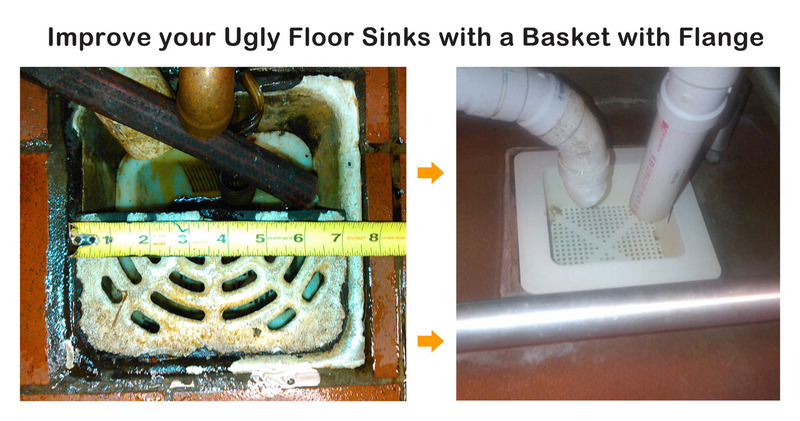 Protect your drains and cover up the mess with this 6 1/2" floor sink basket with flange. The flange covers the entire floor sink so if it old, rusty, or just plain dirty, you won't necessarily have to replace it. Simply cover it up with this basket. This product was specially designed for one of our customers to solve their unique problem. Now we are making it available to all customers. Please allow 1 to 2 weeks for delivery of this product. Need a different size? Need a custom floor sink basket? Contact us today and we will be happy to help!